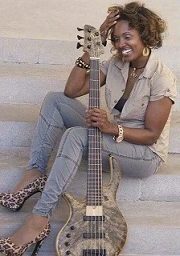 Tiffany TiffsBass Lloyd is one of the most sought after bass guitar players. TiffsBass is known as the bass clinician, a motivational speaker, teaches music and performs solo with an Elrick Gold Series e-volution bass. TiffsBass have worked with various Recording Artists; Gladys Knight, Yolanda Adams, Kenny Lattimore, Lisa Raye, Todd Dulaney, KeKe Wyatt, Lynn Whitfield, Maysa Leaks, Kadejah Oni, Avery Sunshine, Kendall King, Freedom Imani and more. I learned during our interview, there are a plethora of female bass players. TiffsBass unique style and grace have allowed her to perform solo to sold out audiences. Featuring songs from her solo project Viscosity. Tiffany TiffsBass Lloyd is doing great things, so keep your ears open. Welcome Pamela Price, Founder/C.E.O of L.M. (Life Ministry) Foundation, she is preparing to build the Aspiration House. It will be A Transitional Home for families of Domestic Violence. Her goal is to break ground in October 2017 in celebration of Domestic Violence Month. It is the vision of Pamela Price and L.M.Foundation, to create a safe space for those who are need. Domestic Violence is very serious and families can be torn apart because of it. If you suspect something is going on or you are being abused, call the Domestic Violence Hotline for help. 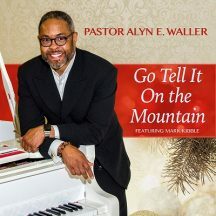 I had great pleasure speaking with Pamela Price on this very urgent topic which is increasing.